In a vast country where gigantic modern cities meet thousands of years of tradition, get ready to relearn what you think you know. The world’s oldest continuous civilization offers its own unique traditions in music, theater, visual arts, and food. Outside the humming cities, you can explore the sprawling and varied landscapes that contrast the ever-changing activity of the urban centers. The mountains of Tibet, the rice paddies, and the rolling hillsides are as important in truly understanding China as Beijing and Shanghai. No matter where your trip takes you, your senses won’t rest, so cut yourself some slack if you don’t get to everything. Three millennia of history really should be more than you can see on one tour. Just focus on what you do see. If Confucius didn’t say that, we think he probably meant to. Great Wall: Perhaps the country’s most iconic landmark, the 5,500 miles of the Great Wall are full of legend and history from ancient China to modernity. The first section was begun over 2,000 years ago in the time of China’s first emperor. 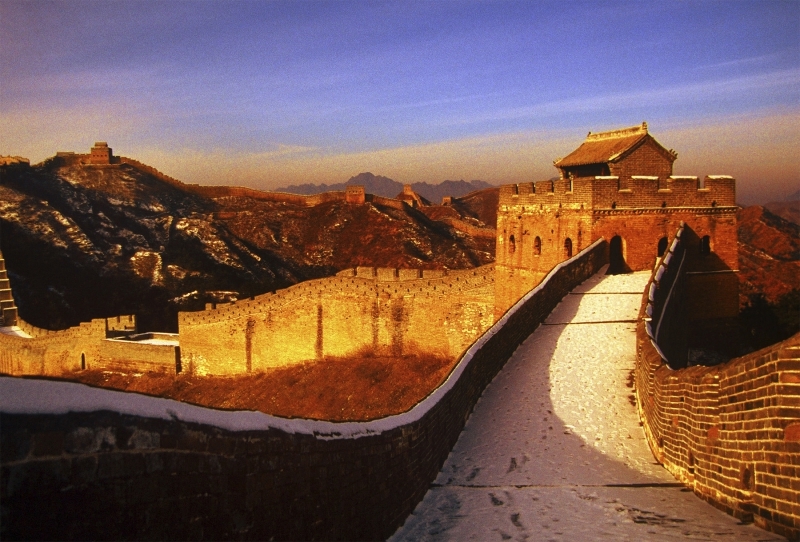 Now, with some sections in disrepair and others restored to their ancient grandeur, the whole length of the wall is a breathtaking testament to the incredible history of China. Terra Cotta Warriors: Not discovered until the 1970s, these 7,000 formidable figures in uniform and on horseback are on display in their underground pits just outside Xi’an. The first Chinese emperor, Qin Shi Huang, was buried with this full army of terra cotta soldiers, built to protect him in death, and now they offer a crystal-clear glimpse into the past.